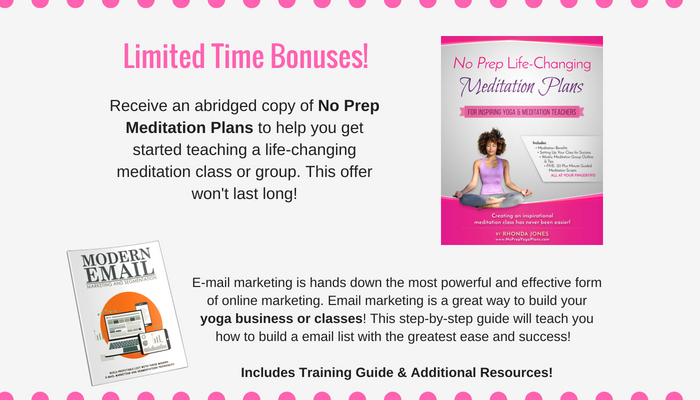 Pick the No Prep Yoga Plans that Are Best for You or Your Business! Please see terms & agreements before ordering. See terms & agreement. Cannot be duplicated or reprinted for distribution. Please read over terms and agreements before ordering. If the user has his own yoga studio, he would need to purchase the yoga studio license version of NPYP. This operation will allow any student in the use on any material reachable into the website, avoiding any duplication and distribution of the material under any circumstances. The agreement includes one hard copy of NPYP with a downloadable ebook version. Your agreement allows up to 3 total copies per yoga studio that can be used at will by yoga staff or team. 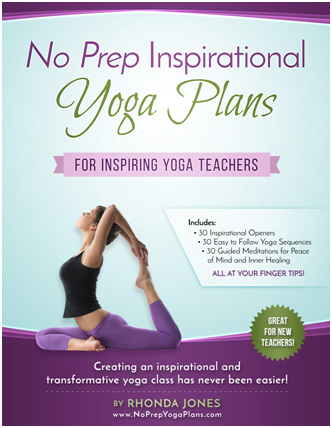 No parts of NPYP can be copied and distributed for yoga training classes, workshops, or otherwise. All the material present into the Website is exclusively for personal and physical class use only. If you are teaching on a paid fitness platform you can use the materials to teach your class. No portion, part or content of the Website/Material in a partial or entire portion of the content can be published over the Web (comprehensive of social media platforms or video sharing platforms), without our written consent. The user may use NPYP to create a video on a paid or closed platform that includes his own set of customers that is not open to the general public. 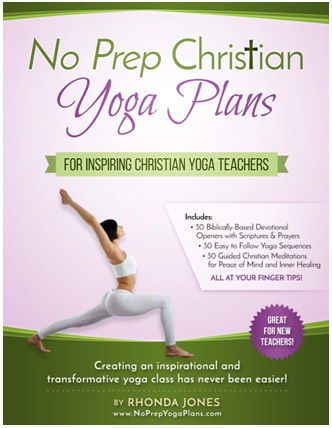 The user can however, use the NPYP sequences to plan and implement his yoga classes for both online and physical classes.